Our contributor confessed that while she was excited to try, was initially disappointed when she opened the bottle… finding it a bit too dry and somehow lacking a certain something. Undeterred we merrily poured our glasses, keeping our minds, olfactory senses and taste buds open to the experience…. Overall we found that while yes it was dry, it wasn’t terribly so. The peat also was much more subtle than anticipated – in a nice way. Why triple wood? It refers to the three different type of casks used to make this whisky – American Barrel, Quarter Cask and Puncheon. What do the Ardmore folks have to say? Colour – Golden straw, natural honey. Nose – Biscuity cereal notes and the scent of banana underlie the initial nose of ginger, burnt sugar, cherries and honey. A drop of water intensifies the ginger snap biscuit notes with a hint of cinnamon, and soft highland peat smoke. Palate – Light caramelised sugar, toasted barley, and warming, light peat smoke are followed by sweet vanilla custard. Water releases notes of pink peppercorn, and dried fruit flavours (raisin and candid orange peel). Finish – Light with soft peat smoke, lingering pepper and toasted almonds with a well-balanced dry mouth feel. We didn’t read the tasting notes at the time but they seem rather apt… and suspect we should have tried it once with a bit of water. What about other Ardmore’s sampled? 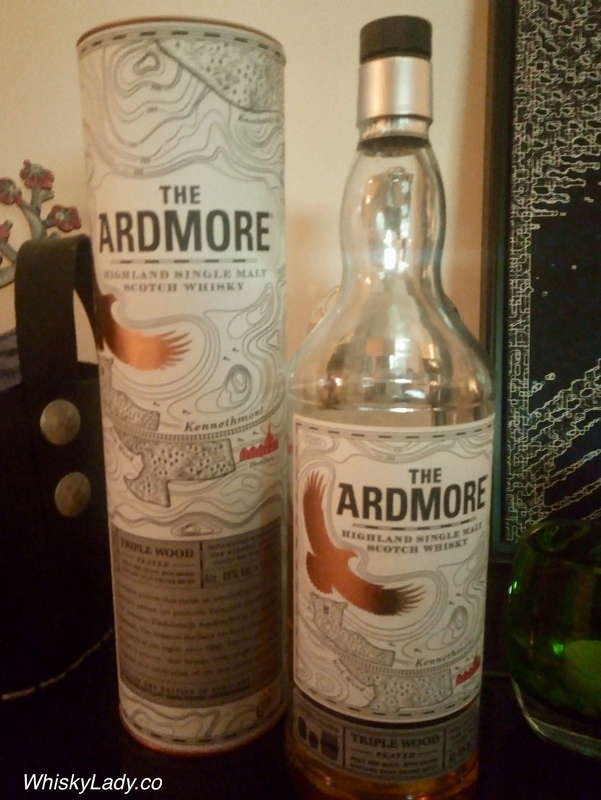 This entry was posted in Highland, Peat, Scotland, Travel retail and tagged Ardmore, Ardmore Triple Wood Peat, Triple Wood by Carissa Hickling. Bookmark the permalink.